Are you an avid tea drinker? If so, then you are giving your mouth a lot of benefits with each cup you drink. Your mouth likes it when you drink tea. It allows you to control the current and future health of your mouth. If you only drink coffee, you may want to consider switching some of your cups over to tea. Where coffee can stain your teeth and leave you with an acidic mouth, tea is less likely to stain and neutralizes the acids in your mouth. First, tea helps you prevent your mouth from getting cavities. By lowering the pH of your mouth, you don't get as much damage from plaque. This is one of the best things tea can do for your body. Second, tea also reduces inflammation of your gums and improve their overall health. If you want healthy gums, you should be drinking at least one cup of tea per day. Third, tea improves your breath. Instead of worrying about the effects of onions and garlic following you around for a day or two after a meal, drink some tea. It will improve your breath and leave you without the shadow of bad breath after a potent meal. 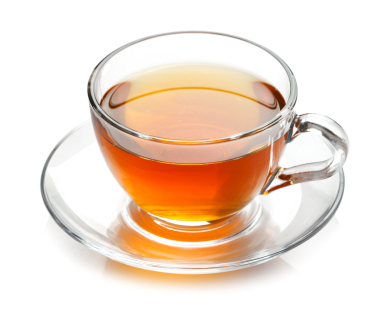 Fourth, tea lowers your chances of developing oral cancer. If you want to keep your mouth healthy not only now, but into the future, then you want to add tea to your regular routine. For extra benefits of tea, talk to us the next time you are at your dental appointment. We know about how many benefits tea can provide, and we will gladly share with anyone that wants to know. Find out if you should be adding it into your routine if you struggle with oral issues. Most dentists will overwhelmingly say yes. If you have any questions, or if you would like to learn more, please call us today at (425) 998-6998.